2011 ACURA MDX Printer Friendly Flyer. 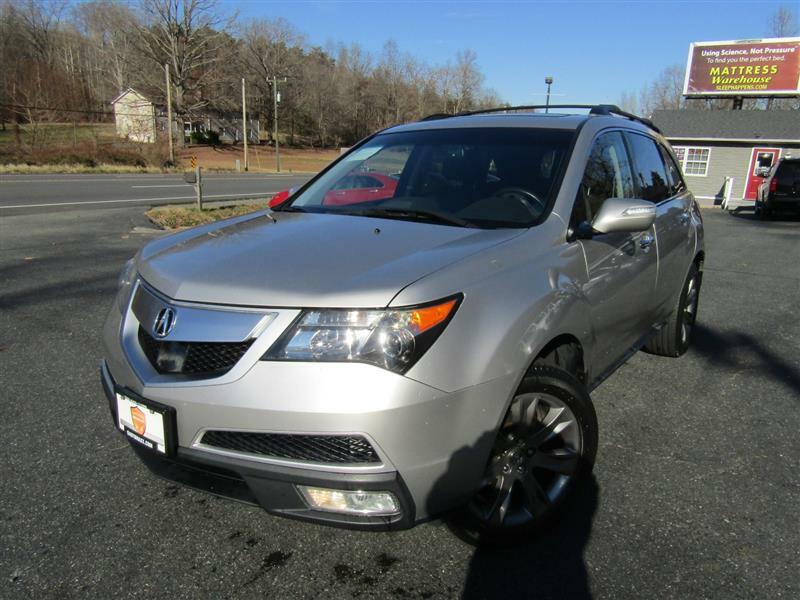 The 2011 Acura MDX is available in one trim level. Standard equipment includes automatic xenon headlamps, foglamps, a power liftgate, a sunroof, privacy glass, heated eight-way power front seats, two-way adjustable driver lumbar, a power tilt-and-telescoping steering wheel, leather upholstery, tri-zone automatic climate control, a rearview camera, an auto-dimming rearview mirror, Bluetooth and an eight-speaker sound system with six-CD changer, auxiliary audio jack and satellite radio. The Technology package adds a multiview parking camera, GPS-linked and solar-sensing climate control, upgraded leather upholstery, a navigation system, real-time traffic and weather, voice controls and a 10-speaker Acura/ELS surround-sound audio system with digital music storage and an iPod/USB audio interface. The Advance package includes all Technology items and adds 19-inch wheels, an adaptive suspension, adaptive cruise control, a blind-spot warning system, the Collision Mitigation Braking System (CMBS), auto-leveling headlamps, a sport steering wheel and ventilated front seats. The 2011 Acura MDX is powered by a 3.7-liter V6 that produces 300 horsepower and 270 pound-feet of torque. A six-speed automatic transmission and Acura's "Super-Handling" all-wheel-drive system are standard.